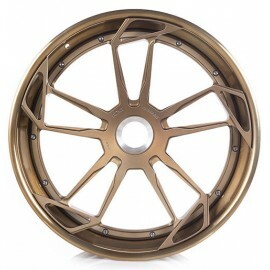 Check out the ADV 5.3 - M.V2 CS Series aftermarket wheel by ADV.1 Wheels. The ADV 5.3 - M.V2 CS Series wheel is a custom forged multi-piece wheel that is built with precision, simplicity and strength in mind. M.V2 ADV.1 forged custom wheels are manufactured in both 2-piece and 3-piece construction. M.V2 series custom aftermarket rims offer a refreshing look that combines the versatility of a multi piece wheel with the performance and ride quality of a 1 piece, monoblock wheel. 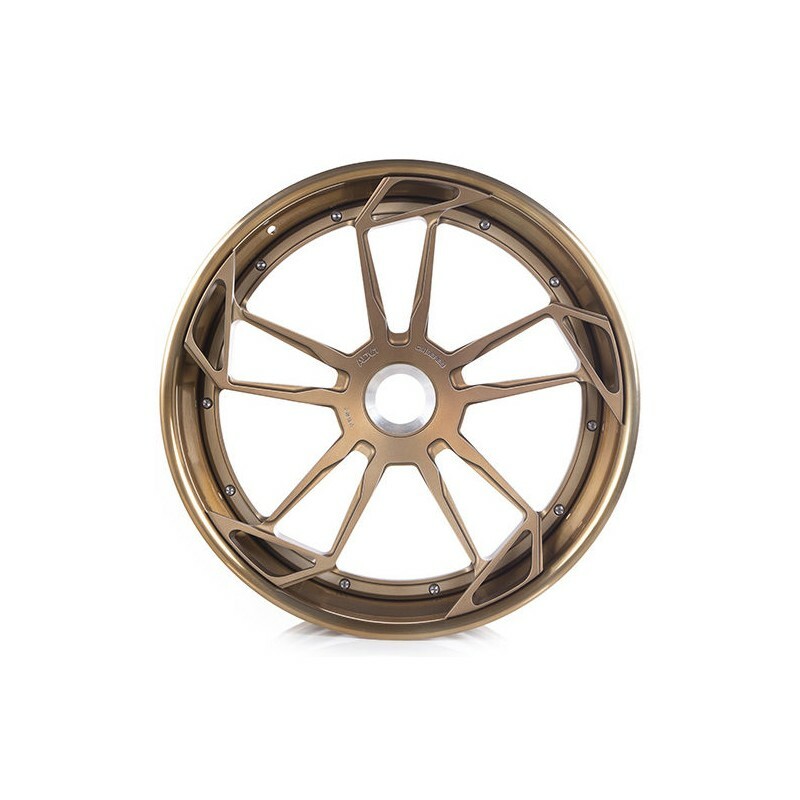 These wheels are intended for street and race use and are available in a variety of styles and finishes. Profile styling for this custom wheel include flat, mid and deep concave, and is available in 18 to 22 inch diameters and in widths ranging from 7 inches to 13.5 inches. Some custom forged wheel sizes may be unavailable depending on the wheel construction type that you select. Custom Finishes Available. Please contact our knowledgeable sales representatives for available options. Allure Custom Automotive is your go to source for Custom Wheels and Tires. 5. Select the 'REQUEST PRODUCT INFO' button. This form will assist us with confirming fitment and pricing. Defy Status Quo. Order a set of Custom Forged Wheels. ADV1 custom forged 2 and 3 Piece wheels are in a league all their on! ADV1 2 Piece forged custom wheels are very lightweight wheels that are also very strong and can be repaired if damaged but come in less size options than the 3 Piece wheels. ADV1 3 Piece forged custom wheels are incredibly popular wheels that can be the most expensive and luxurious products in custom wheels. 2 Piece and 3 Piece forged wheels are custom made for your vehicle all you need to do is tell us the style and finish that youd like. Because of their bolted construction, these wheels are the easiest wheels to repair. 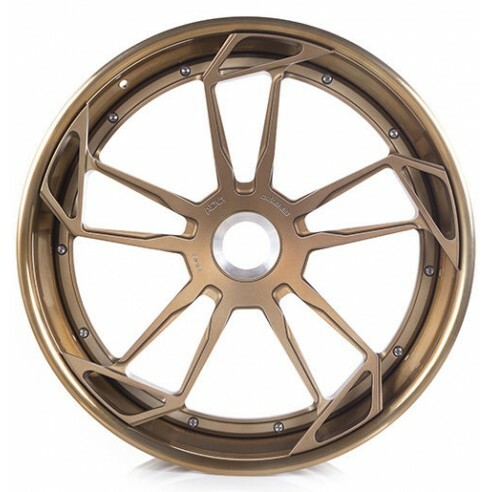 Forged wheels come in a much larger variety of custom sizes and finishes as compared to cast wheels, you can be assured your style will be in a league all it's own. ADV1 Wheels offers a huge range of options to accommodate all of our customers from our first time buyers to our customization enthusiasts. Custom wheel options available by ADV1 Wheels include forged wheels, concave wheels, directional wheels, two piece and three piece wheels in sizes that range from 18 inches to 22 inches and an endless selection of finish options are available - depending on the style of wheel that you select. ADV1 Wheels offers state of the art manufacturing technologies that Allure Custom Automotive customers can TRUST. Looking for staggered wheel fitments? ADV1 wheels aggressively promotes staggered wheel options for your vehicle. Allure Custom Automotive is your go to source for Custom Wheels and Tires. We have a large variety of custom wheel styles, finishes and sizes available for practically every automotive brand. We are intimately familiar with the technical details and benefits of wheel construction options (e.g. 3PC, Forged, Cast), wheel offset, and size that affect your vehicle’s performance. Some of our products are highly customized and are only made to order and others can be taken right off of the shelf and mailed to the installer of your choice. MOST OF OUR PRODUCTS ARE AVAILABLE AND IN STOCK FOR IMMEDIATE DELIVERY including many of our tires, cast wheels and performance accessories. Products such as our 3PC wheels, special order tires and some body kits may require 8-10 weeks for delivery. An incredibly easy, yet impactful way to add style, individuality and interest to your vehicle is to purchase custom wheels and have them painted to match the color of your vehicle. Provide us with your VIN number and that’s it. Paint the entire face or just the inner spokes, either way; this vehicle customization option is a guaranteed head turner. At Allure Custom Automotive, we are exceptionally good at TWO THINGS … 1. Customer Service and 2. Going Against Status Quo (and bringing you along for the ride). Do you know how many people bought the EXACT SAME model vehicle that you own, and in the EXACT SAME color? TENS OF THOUSANDS! And that’s great, you selected a popular vehicle, but you can’t stop there. Automotive manufacturers design cars and trucks for everyone, at Allure Custom Automotive we help you build upon their design and personalize your vehicle FOR YOU! From luxury enhancements to rugged exteriors, the culture, is less about being different for the sake of being different and more about putting YOUR personal signature on your vehicle – while gaining a few admirers in the process. WE GET IT - Individuality and Standing Out From the Crowd are NOT for the boys and girls of the world who get warm and fuzzy over bland, unadventurous or monotonous – excited to buy someone else’s vision for them, someone else’s design, some else’s idea of attractive (Everything's a copy of a copy of a copy...not with us). At Allure Custom Automotive, there’s STYLE and then there’s NO STYLE, PERIOD Going against status quo (even if it’s only once in a while). Whether opting for custom wheels and tires in a staggered fitment (with larger wheels in the rear than in the front for a more aggressive, sexier look that also provides for more precise handling and traction) or matching the color of your custom wheels to the color of your vehicle. Maybe you’re looking to lower the suspension of your vehicle to get that sporty race car look. Perhaps you want to upgrade to a luxury body kit to completely transform the exterior your ride from the cookie-cutter Big Box Store persona to a smoking hot Custom One-of-One. When it comes to making sure that you have the right products that match YOUR STYLE (simple and classic, or extravagant and over the top) Allure Custom Automotive is your go to source. If you know what you want great, enter your vehicle details and let us know if we can help. But if don’t know where to start, let’s talk. We are vehicle customization EXPERTS and our goal is to help you to achieve the look that you want. We know the ins and outs of all popular automotive brands, we know which products fit your vehicle and what would look most appropriate on that vehicle to achieve the look that you’re after. Want sportier? Contact us. Want more rugged? That’s what we do. Want something that no other driver on the road has? Ahh … now that’s something that you really won’t find at another store! Allure Custom Automotive is the only place in the industry to give you the right advice to achieve the edge that you’re after. Auto manufacturers provide the canvass you become the artist – and Allure Custom Automotive is the link to expose your inner creativity! We don’t sell everything, and there’s a reason for that. 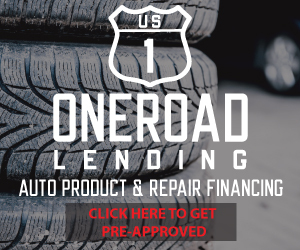 We only offer you the most popular brands to customize your vehicle – popular because they’re the best in their category. Allure Custom Automotive has built lasting relationships with each of our manufactures. The products that we sell are highly respected in the automotive industry; they’re designed, built and tested to guarantee proper fitment and safety. Our manufacturers have decades of history, innovation and manufacturing excellence to bring you quality products that you can trust. And yes, all of the products that we sell have manufacturer warranties that add an extra layer of comfort when making your purchase. Purchase the best quality automotive aftermarket accessories and products available in the industry from Allure Custom Automotive. Enter your vehicle details to filter the Allure Custom Automotive website for products that fit your vehicle. Purchase custom wheels, tires, wheel and tire packages, custom body kits, performance enhancers. We can ship your order to your local dealership or to any authorized installer like NTB™ or Sears™. Installation takes just a couple hours to complete safely and correctly but the added performance and the envious double-takes you’ll get on the road are definitely worth it! Sales Associates that are knowledgeable about your vehicle, our products and pricing are just the beginning. We also make sure that we’re here to help you to find what you need and know what’s available to you fast and professionally, so that you can check out and get back to your daily grind – whatever that may be. - Wheels aren’t complex but your style is. Only Allure can match your style perfectly to your vehicle. - We only sell products that we would buy – from the best manufacturers. - Free shipping on wheel and tire packages AND TRACK YOUR PACKAGE with FedEx or UPS once you place your order. - Free returns. As long as your order is returnable – we will pay for you to return it. - If our sales team can’t answer your question or deliver the BEST customer service, call our CEO personally (609) 213-7191. So if you were waiting for the perfect time, the time to buy it’s now. Search for free, advice is free, the compliments on your new look? Worth every dollar! Still not convinced? A challenge: The next time you’re out, take a moment to notice how many people are NOT turning their heads to check you out. Congratulations, Waldo, you’ve successfully blended in – we can change that! We currently do not offer tires that match this wheel combination. Please select 'Cancel' and then select the 'REQUEST PRODUCT INFO' button for assistance.